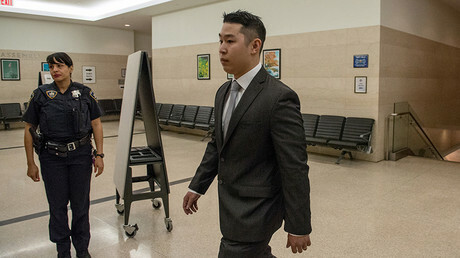 A Manhattan jury has cleared a New York Police Department sergeant from accusations that he used excessive force when he shot an emotionally disturbed, knife-wielding man in the head – after he was already shot at 4 times. The case dates back to an incident on April 12, 2009 when Sergeant William Flores became involved in a confrontation with 35-year-old Mauricio Jaquez. Flores and other officers were called in to Jaquez’s apartment after his wife, Ana Martinez, called 911 seeking help dealing with her husband, who had taken drugs such as cocaine and alcohol. At one point, Jaquez claimed that demons were trying to kill him and also grabbed Martinez while holding a knife. Despite his behavior, Martinez testified in court that she wasn’t afraid for herself when she called police, but rather that she was concerned her husband would have a heart attack. 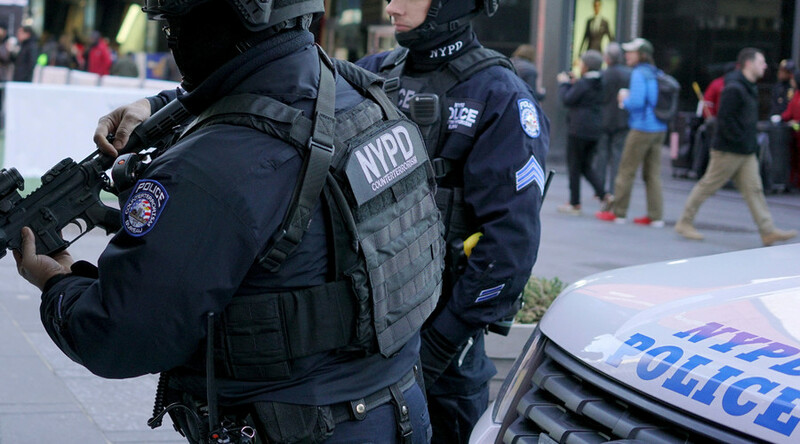 When Flores and other NYPD officers arrived, they were able to get the couple’s three children out of the apartment safely, but the standoff between them and Jaquez would last about an hour, according to Buzzfeed. Officers deployed rubber bullets and Tasers against Jaquez, but ultimately fired four bullets at him when he allegedly lunged at them with the knife, knocking him to the ground. Flores then fired a fifth shot into the back of Jaquez’s head, with officers saying that he was trying to get up again while still holding the knife. However, Martinez sued both the City of New York and the NYPD, arguing that her husband posed no threat and was bleeding out on the ground when the final shot came. During his own testimony, Flores said that he did not feel threatened by Jaquez when he was on the ground, but that he did fear for the safety of the other officers. One medical examiner also testified that Jaquez could have been considered a threat even after the first four shots were fired. Even before the trial began, the judge in the case ruled that the first wave of shots was justified, and that jurors were to debate only whether the final shot to the head constituted excessive force. During his closing testimony, Flores’ attorney Joshua Lax pointed to how the final bullet traveled at a 45-degree angle before striking Jaquez, indicating that Flores was not firing his gun directly at someone on the ground. After deliberating for about two hours, the jury agreed that Flores’ behavior was justified. Claims against the city and other officers were also dismissed by the judge. Martinez’s attorney, Zachary Margulis-Ohnuma, disagreed and said there were “a number of legal errors” made during the trial. “I think the jury got it wrong on the facts,” he said, adding that an appeal is planned.